The easiest way to install an email signature on a mobile device is to send yourself an empty email with the email signature at the bottom, copy the email signature and paste it into your email signature settings in the app. Send an empty email (with the signature) from the other email program to the email account that is set up on your Android device. Open the email on your Android device, press and hold over any text in the email signature, then press the Copy button at the top of the screen. 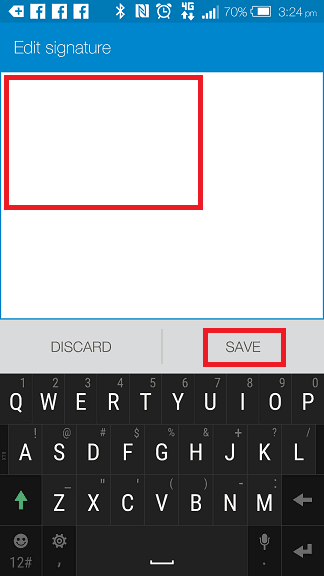 Open the native Mail App on your Android device. In the top right, press the menu button with the 3 dots, then press Settings. 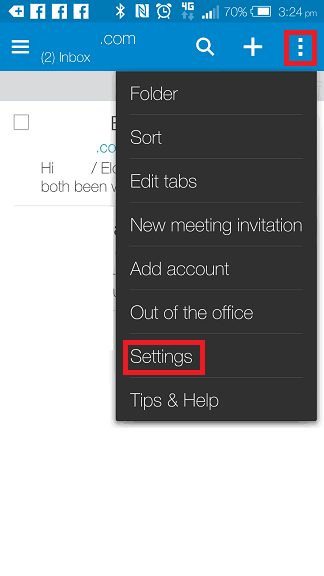 In the Settings menu, select General Settings. 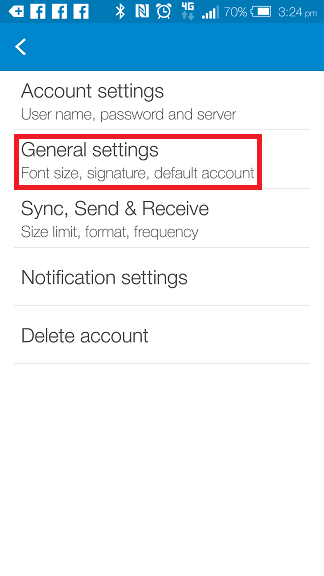 In the General Settings menu, ensure that Use signature is ticked and then go into Signature. 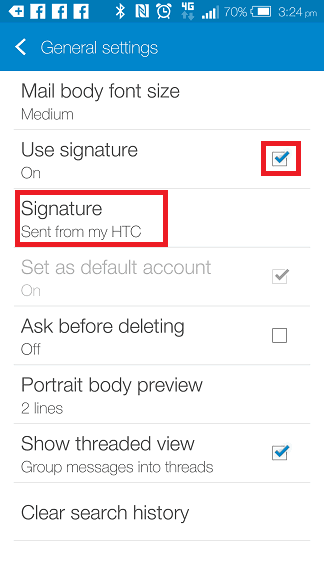 Remove any text that is currently in the signature text area. 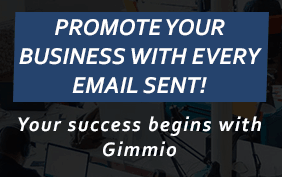 Press and hold over the email signature text area until a pop up box comes up and then Paste the new signature in there. Once done, press Save.